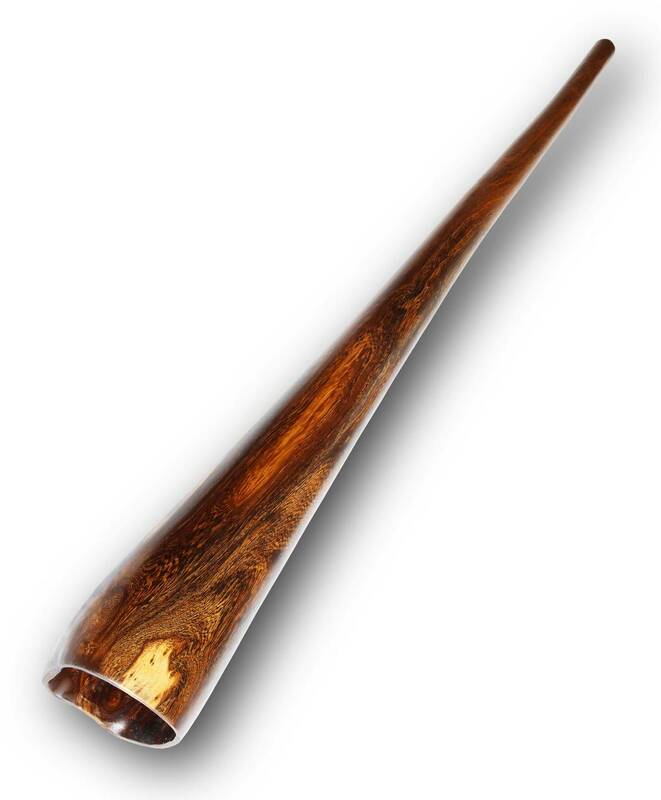 In didgeridoo store you can buy Didgeridoo from hard black Juar wood 190 cm - E Main note: E - Trumpets (1/2/3): D#,A#,D# - Wood: Juar - Length: 190 cm - Trumpet diameter:15-16 cm - Inner diameter of the mouthpiece: 3 cm - Weight: 4,7 kg - Cover/case: included - nylon highest quality, waterproof, shockproof - Free worldwide shipping by DHL. Main note: E – Trumpets (1/2/3): D#,A#,D# – Wood: Juar – Length: 190 cm – Trumpet diameter:15-16 cm – Inner diameter of the mouthpiece: 3 cm – Weight: 4,7 kg – Cover: included – nylon, shockproof – Free worldwide shipping by Air mail UPS(6-9 days). 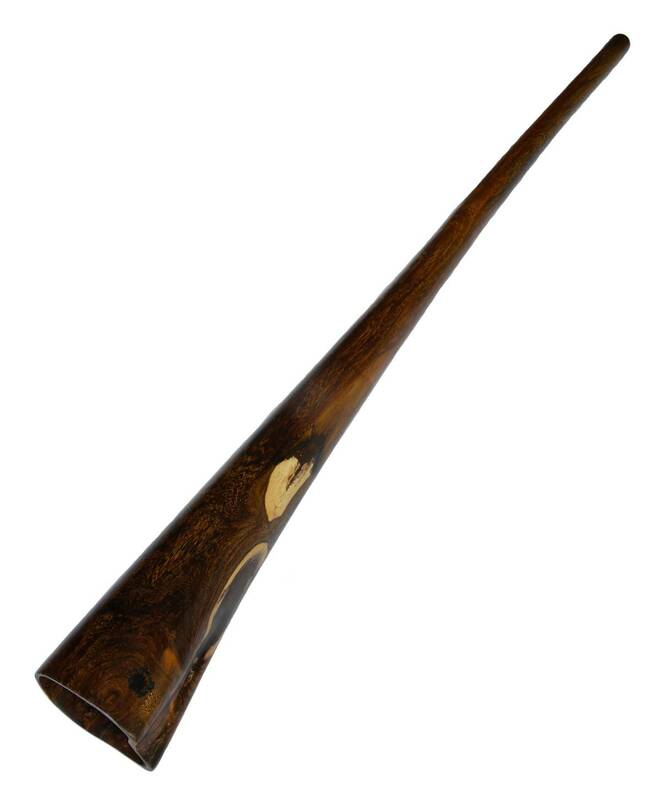 Didgeridoo made of black and very dense wood guar. It took us a lot of effort to handle this tree. Length of musical instrument 190 cm. Please note the large diameter of the bell 16 cm, which allows the didgeridoo to sound and loud volume. This didgeridoo is a unique design despite its length 190 cm tuned to the note E.
We recomend buy this didgeridoo from hard black tropical wood Juar if you like play middle didgeridoo rhythms and feel vibrations of the surround sound. This didge have big diameter of the bottom trumpet. 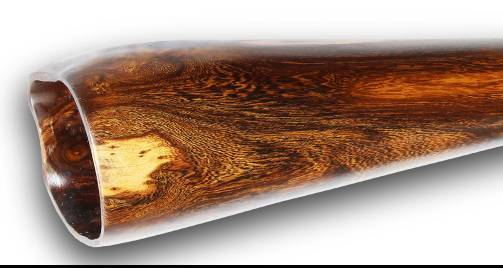 Noble and heavy, Johar is a very beautiful kind of wood, spread mostly in Africa. That’s why it gives so warm and sunny sound. Dark-chocolate color and special texture gives it very unique feeling when you hold it. It is used for construction and for making boats! Of course, carving Johar is quite a challenge, but not for our masters! It will become a beautiful boat, that will carry you on the River of Music for a long time. Excellent didgeridoo back pressing. The inner channel structure has step-by-step uniform extension. Starting from the 3 cm mouthpiece, the channel keeps this diameter for 20-30 cm of length and then extends slowly. High-quality wood processing. We pay special attention to mouthpiece flow as your mouth will have to interact with this part of the instrument. You also won’t have to doubt in junction safety of glued wood halves. The glue has passed the time and high pressure tests. 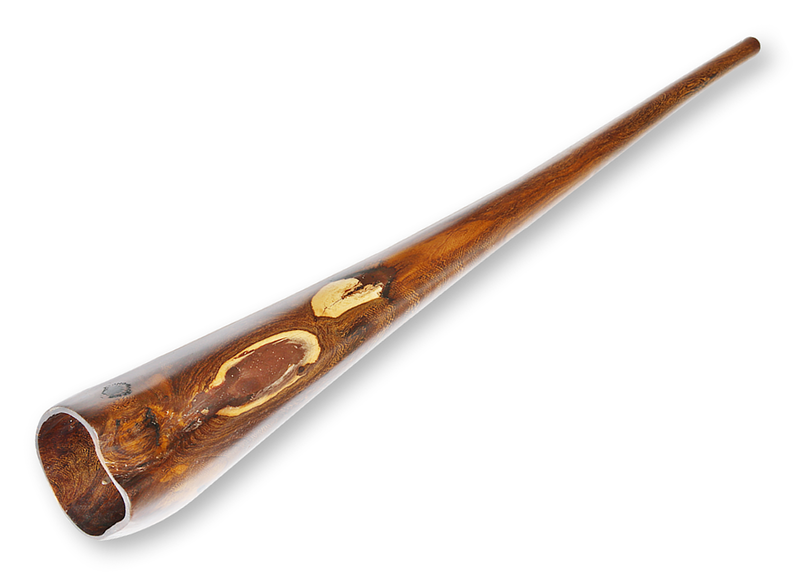 In most didgeridoo instruments, the seam is practically invisible. Didgeridoo balance coming from high vibration resonance, ample loudness and bright vocalization. SKU: JUAR190-E Tags: didgeridoo shop, didgeridoo shop online.